Is the DRX9000 in Colorado Springs Your Best & Most Affordable Option? After 6 months of research, we intentionally chose not to purchase the DRX9000 for our back pain clinic in Colorado Springs, even though prices for the machine have come down dramatically after the FBI reportedly raided the manufacturer in Tampa, Florida over charges of false advertising and insurance fraud. As you can see from the photo to the right, the DRX9000 is a very fancy, handsome machine. It has a tv monitor and a CD system. But we felt that we could make an even better user experience for back pain patients in Colorado Springs, at a much more affordable price, while offering far more complete care with the Kennedy table, photograph above (in the offer) and below the DRX9000 (to the right). You'll notice that the patient using the Kennedy Table (photographed below) to the right is in a very different position than the patient in the photo above, who is lying flat on their back using the DRX9000. The Kennedy table can smoothly and electronically transition from the position you see, to the exact opposite position, if the doctor deemed it necessary. It can place patients in what is called flexion or distraction. The variety of positions the Kennedy table creates, allows the doctor to offer more specific and angular treatment to the disc(s) and spine. 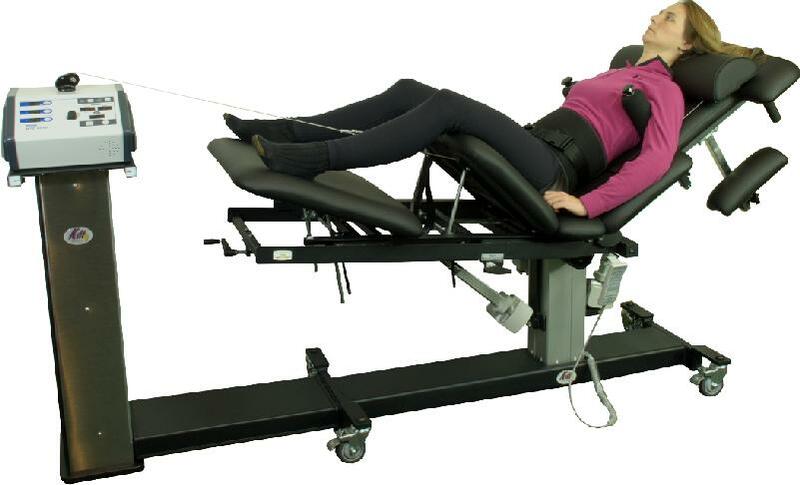 The Kennedy table also offers both lumbar AND cervical spinal decompression. Though the Kennedy Table is (we believe after 6 months of research) a better table it is up to 85% less expensive than going to a doctor or Colorado Springs chiropractor using the DRX9000. This is because, before the DRX9000 manufacturer was raided by the FBI, they were selling tables up to $150,000. The doctor had to pass on that cost to the patients to pay for the table they bought. Expensive leases drove up patient costs. Today, the market is different, and there are better tables that are far more affordable. Some of the chiropractors in Colorado Springs offering the DRX9000 spinal decompression table include Summit Spine and Disc Center and HealthSource. While you will find excellent care at both facilities, you may find a much less expensive option and equal care at the Back Pain Institute. 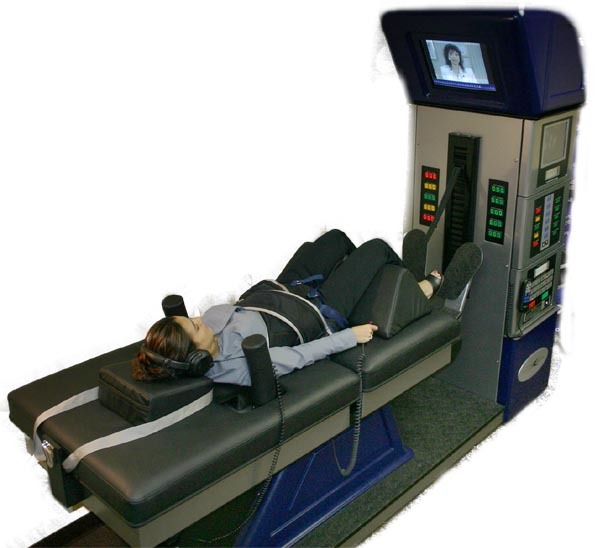 Why pay $125-300 per treatment when you can use a better spinal decompression table for up to 85% of the price? Notice how many position the doctor can place the patient in. Plus it is up to 85% less expensive!